A rare film indeed and it was extremely difficult to get the songs. An unique song is "taare udaas" with Prem Dhawan's lyrics. 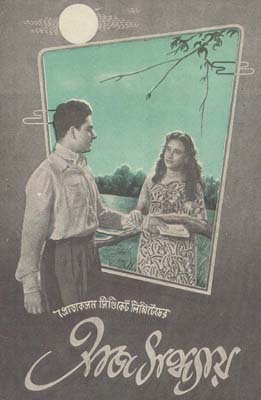 Gayatri Basu's "naa jaani re" in bengali is as haunting and appealing as Shamsaad Begum's hindi version in "Biraaj Bahu".